2. 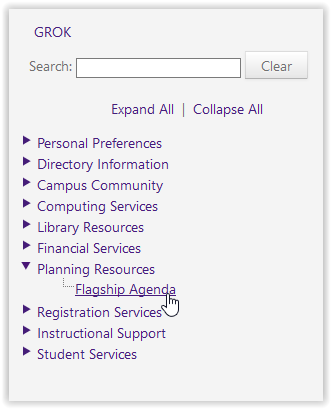 Click the Planning Resources drop down arrow on the left side of the screen, then click Flagship Agenda. 3. 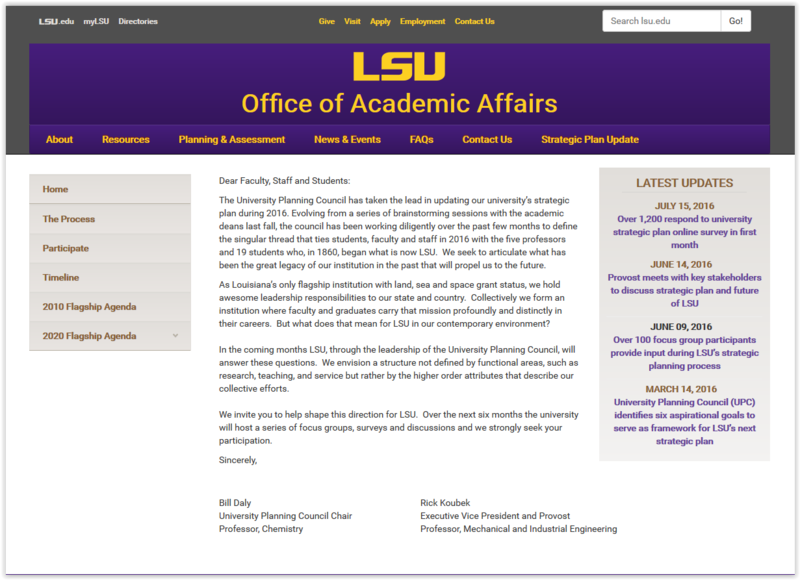 A new window will then open to the Office of Academic Affairs homepage.